I no longer maintain this site. 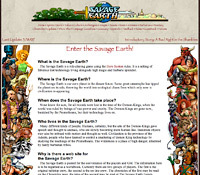 The Savage Earth is a personal project, built hodgepodge over many years. It has a variety of technology, and also functions as the showcase for thematically-related art. 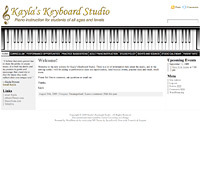 Kayla's Keyboard Studio is an example of a customized Wordpress Installation. This also includes a registered Domain Name and Hosting. I designed and maintain the storefront for Papa Murphy's Pizza of Port Angeles. This instillation is customized from Quick Shopping Cart®. I offer Web Site creation and design services. 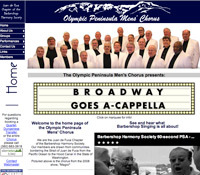 Above are several sites I have designed recently. The first three are implementations from scratch, the last is a customized Wordpress Installation. I also offer basic Flash animation services. Right click to play.